ORGANIC BABY｜ORGANIC COTTON｜IKEUCHI ORGANIC Inc. 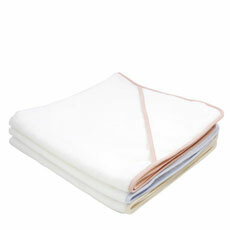 The Baby series features IKEUCHI ORGANIC towels that are made to be safe enough for babies to put in their mouths. These towels comply with Class 1, the strictest standard of the Swiss OEKO-TEX Standard 100, a global system guaranteeing textile safety. Towels are tested for fastness of harmful substances against saliva and perspiration to standards that are stricter than any individual country’s legislation, objectively verifying they are safe for babies to put in their mouths. The pure skin of babies. We think that only the purest towels in the world should touch this skin. That includes being pure to all people and the natural environment though all stages from raw organic cotton to making yarn. This safety is guaranteed objectively by OEKO-TEX Standard 100 tests through review of all information regarding composition of all raw materials and dyes used to make each towel. The masterful technology of IKEUCHI ORGANIC developed through striving for towels that achieve utmost safety with minimum environmental impact brings you the absolute unwavering quality of the baby series. While making towels with organic cotton, we aim for the next generation of organic. We build a bountiful future lifestyle through creating textiles that expand the possibilities of organic. We wish to keep weaving pure and conscientious textiles into the future that awaits babies that grow up with true organic products today. Give your baby the loving gift of bona fide IKEUCHI ORGANIC. Wrap the pure skin of your sleeping baby with a soft sense of security. Our Organic Baby range is authentic organic that is safe enough even for a baby’s mouth. Keep your baby’s chest clean. Tie the ribbon behind the neck to secure. 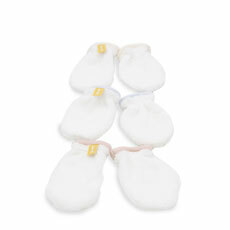 Baby shoes made with towelling to keep your baby’s soft feet warm and cozy. Protect your baby’s hands from unforeseen injury.